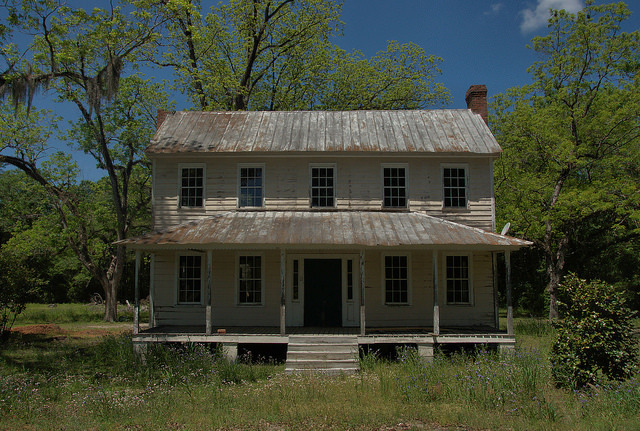 This is of the style commonly called “Plantation Plain”. This particular house has been stabilized and is a very nice example of this popular 19th-century design. It’s possibly of antebellum origin. This is the style of many old houses in Virginia. Often they will be extended by adding a long addition to the rear running perpendicular to the front. I have been inside one. It had a center staircase with two rooms over two rooms. Not fancy at all. No paint, plain wood floors and no fancy trim work. Any idea regarding interior floor plan? From windows and chimneys, looks like very few rooms. It refers to either one, just to add to the confusion. 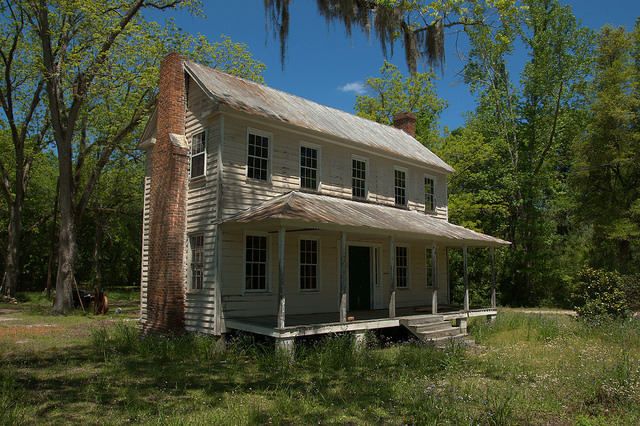 Not all farm owners who had tenants lived in grand plantation houses, and even those who did, lived on a farm. Hence my use of ‘farmhouse’. This was a house that my grandfather and his brothers built. One of the brothers lived in it. I love this style house. It is a very common style in Virginia. Built by my Granddaddy and his brothers in 1890s. Would this have been considered a pretty well=to-do cracker? This is pretty nice, I think. Just curious! I am really enjoying the pictures, brings back so many memories of my early childhood. Thanks a bunch. A well preserved classic. Most of these houses have been much altered over the years by additions and “updatings”. This one is a gem! Hope it will be restored but with the inevitable additions sensitively handled.